Sedona, Arizona (May 6, 2018) Renowned for their groundbreaking immersive approach to the film festival experience, the 5th annual ILLUMINATE Film Festival returns May 30th- June 3rd. The premier conscious film festival, ILLUMINATE is dedicated to elevating awareness and inspiring lasting transformation through cinema. With this intent, each season ILLUMINATE searches out the year’s most compelling, paradigm shifting, life-affirming films. For their 5th annual Festival, they have selected 26 conscious narratives, documentaries and shorts. The schedule includes evening spotlights, special guests, post-screening presentations with directors and producers, filmmaker panels, nightly parties and live musical performances. Participants in the festival are able to mingle with some of the renowned thought leaders of today, as well as like-minded individuals set on being the change they wish to see in the world. The festival kicks off Wednesday, May 30 with a free screening of The Push featuring the inspiring story of the indomitable Grant Korgan. Opening Night features the Festival World Premiere of the Emmy-nominated Live Your Quest, which shares the wisdom of Michael Beckwith, Jack Canfield, Lisa Nichols, Tom Chi and others who explore the science, psychology and spirituality behind living a life of passion and purpose. The festival will close with the latest from beloved world renowned musician Michael Franti; Stay Human. This heart-drenched film reflects on Franti’s personal journey facing adversity as a child, struggling to find his voice as a musician, and how he came to find inspiration through six stories of extraordinary change-makers across the globe who chose to overcome cynicism through optimism and hope. New this year is the festival’s $5,000 cash prize, the Mangurama Award for Conscious Documentary Storytelling, which will be awarded to the most transformative non-fiction film that exhibits a strong story arc, compelling subjects and high production value. For the first time, ILLUMINATE will be offering the cutting edge Reel Healing Online program. This multi-week educational web series, hosted by both established and emerging leaders in the field of transformation, will allow participants to more fully integrate a film’s message into their lives after the festival wraps. One of the luminaries offering a Reel Healing Online program is rising star and bestselling author Hal Elrod whose work has been featured in segments on every major television network. Part of the next generation of game changers, his film The Miracle Morning features leading research detailing extraordinary but simple processes, made up of daily practices, that allows people to quickly transcend their limitations, enabling them to maximize their full potential. In work-in-progress WeRise, a group of the nation’s top social innovators propose new models of success in business, medicine, education, politics, entertainment, technology and happiness to empower humankind. 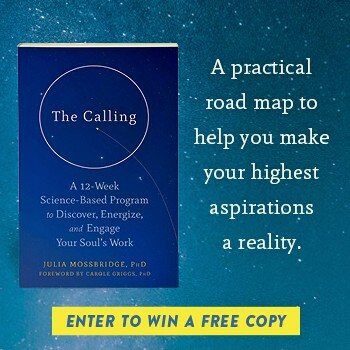 An inspiring call to action, it features insight from The Dalai Lama, Arianna Huffington, John Mackey, Alanis Morrisette, Moby, Joe Dispenza, Tony Robbins, Lynne Twist and more. Other highlights include an online Satsang with enlightened master Moojibaba, a Reel Healing with Spiritual Cinema Circle Co-founder Stephen Simon and 11 world premieres including 3100: Run And Become, a sweeping examination of running's spiritual nature; Calling All Earthlings, an exploration of the controversial ET and Nikola Tesla inspired electromagnetic dome built by George Van Tassel, a one-time Howard Hughes confidante; From Shock to Awe, a gripping look into controversial therapies for PTSD; The Edge of Paradise, which tells the story of Taylor Camp, a hippie paradise started by Elizabeth Taylor’s brother in 1969, You Are What You Act, a feature doc that exposes an intriguing body mind pattern among many of the world’s action heroes; Black Star which explores art as a healing modality for addiction; and Living Music, a documentary short chronicling a rehabilitative journey of artistic experimentation and unconventional healing. In addition, the festival will host its 5th Conscious Film Convergence, a series of film-industry programs offering panels on pitching, film funding and distribution. Added to the offering this year are the Take Twenty Mentoring Sessions, a speed networking opportunity where advice seekers can spend twenty minutes each with pioneers and leaders of the conscious film industry. Finally ILLUMINATE will be honoring author Lynne Twist with the Conscious Visionary Award. Author of The Soul of Money, this SuperSoul Sunday favorite and founder of the Pachamama Alliance is a recognized global visionary committed to ending world hunger, supporting social justice and environmental sustainability, and reframing our society’s relationship with money. View the full selection of films and the schedule HERE on ILLUMINATE’s website. VIP All-Access Passes include unlimited film screenings, VIP receptions, Conscious Film Convergence panels, Luminary Living Room series and the Virtual Reality Zone. (Access to Filmmaker Labs is not included.) Passholders also receive priority theater access. Patrons can take advantage of discounted early-bird pricing through April 20th. Early Bird All-Access Passes can be purchased online for $349 until April 20 ($444 after that date). Passes are on sale now and can be purchased at www.illuminatefilmfestival.com. The 2018 ILLUMINATE Film Festival is scheduled for May 30 – June 3, 2018 at the Sedona Performing Arts Center and Mary D. Fisher Theatre. For more information, visit www.illuminatefilmfestival.com. Sponsors of the 5th annual ILLUMINATE Film Festival include: Sedona Chamber of Commerce, Natural Action Technologies, ChocolaTree Organic Oasis, International Documentary Association, Conscious Life News, The Lodge at Sedona and Sedona Real Inn & Suites. ILLUMINATE Film Festival, a 501(c)3 sponsored organization, is the world's premier film festival for conscious cinema. For more information, visit www.illuminatefilmfestival.com or call 928-421-1108.